Ohh… I’m so ecstatic to share Kyra’s shabby chic tea party! 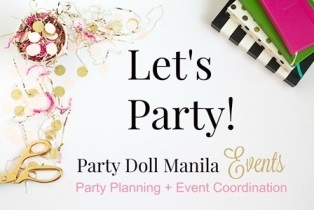 One of the daintiest and prettiest parties featured in this blog, this is one tea party that is just perfect in every aspect. Filled to the brim with uber gorgeous details, I would say this is another stunning masterpiece by the ever creative Gideon Hermosa. From flowers and laces to teacups and pearls, they really made sure they carried the theme flawlessly throughout the party. Too beautiful for words to describe, we’re so lucky to have the team of Little J Photography taking these wonderful snaps up to the tiniest details. If you’re a fan of shabby chic themed parties, you should really see this one. Kyra’s party just take this beloved theme a notch higher when it comes to awesomeness. PS: I pinky promise you. The entrance to Kyra’s tea party is lovely in so many levels. Different paper decors, over sized paper teacups and some hanging teacups look fantastic. Charming details overload but hey, I’m not complaining. In fact, I’m completely smitten with all the different layers and textures of their decor. Everything looks superb! To prove my point, here’s a closer look at Kyra’s fab stage setup. Why, the gorgeousness didn’t stop there because when you look at their ceiling treatment, bam! I simply love how refreshing everything looks and the thing is, it was achieved by using simple elements like paper pompoms, ribbons and doilies. Flowers, laces, and pearls exquisitely and lavishly adorned their table arrangement. The matching thematic printables made sure there’s no missing the mark. No tea party (or any other party, that is) would be complete without some delightful sweet treats to cap off everything wth pure sweetness. Gorgeously made by Tazzy Cakes, be sure to check out Kyra’s adorable birthday cake. Are you ready for more eye candy? Styled with mismatched frames plus some wonderful splash of bright colors here and there, Kyra’s photo gallery is truly pinterest-worthy perfection. Meticulously done by Gideon, their photo-op area looks so pretty. Some party favors for Kyra’s special guests. Here’s Kyra with her beautiful fambam.